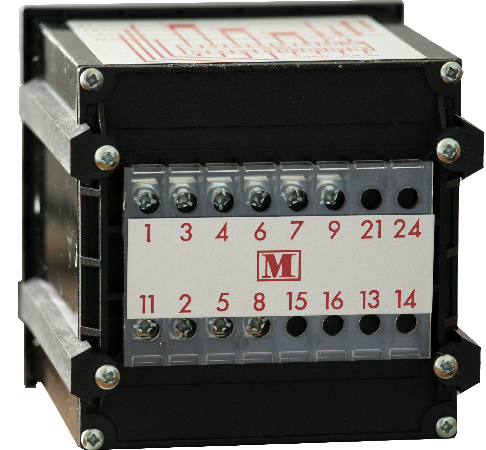 The M600 kWh meter comes in a standard DIN 96 x 96 case. Its mechanical counter is 7 digits long and is non resetable. When the counter exceeds 9999999 it rolls over to zero. 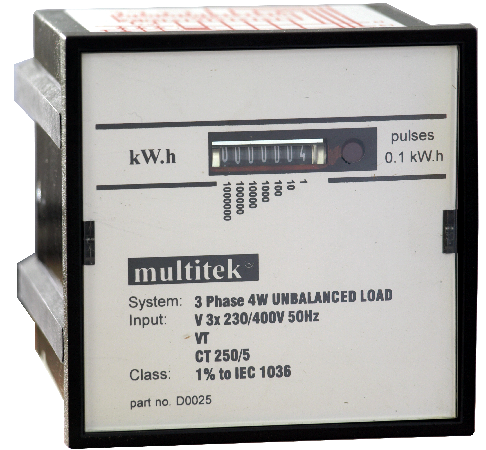 The M600 can be supplied with a pulsed output allowing it to be connected to remote counters, PLCs data loggers and computers and a mA output proportional to the instantaneous power being measured. 3. Non standard pulsed width. 5. Calibration at nominal Hz 35 ..... 450 Hz.